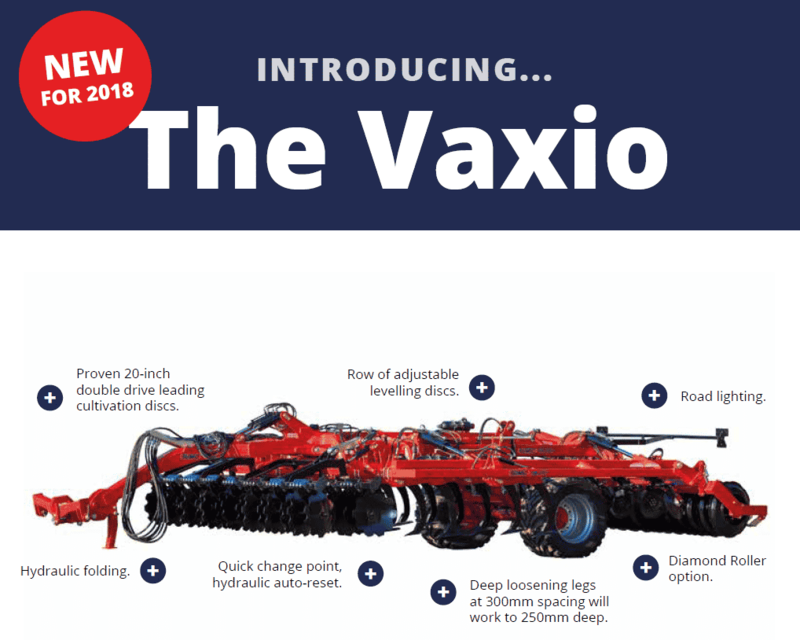 After taking on board feedback from our dealers, farmers and other friends in the industry, we are proud to have filled a gap in the Sumo range with our new cultivator, The Vaxio. The Vaxio is a highly versatile machine, offering the ability to adjust to a variety of conditions and soil structures. It combines surface cultivation and loosening to a depth with even levelling and consolidation in one pass, saving both time and fuel. Available in 4M, 5M or 6M, the Vaxio will work up to 250mm deep. The Sumo Vaxio will be available for the Autumn season. If you have any enquiries, please feel free to email us at info@sumo1.com or call Sumo HQ on 01759319900.